that, i would not be here right now. [laughter] pres. 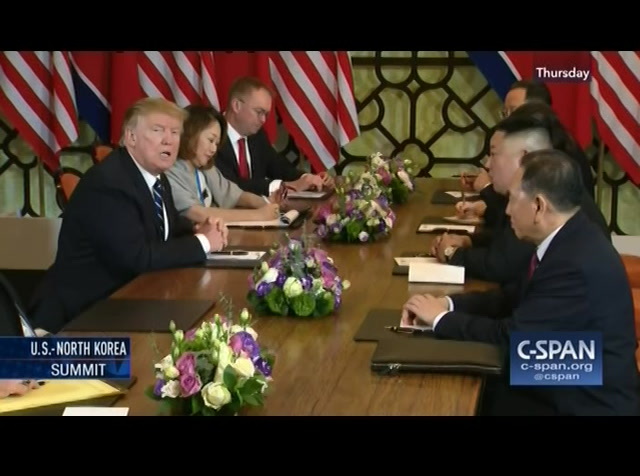 trump: at the table -- [indiscernible] >> that is what we are discussing. pres. trump: don't raise your voice please. 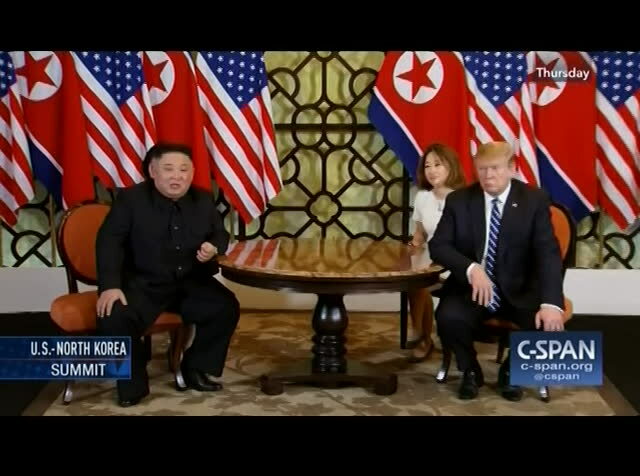 [laughter] >> chairman kim, are you discussing human rights with president trump? pres. 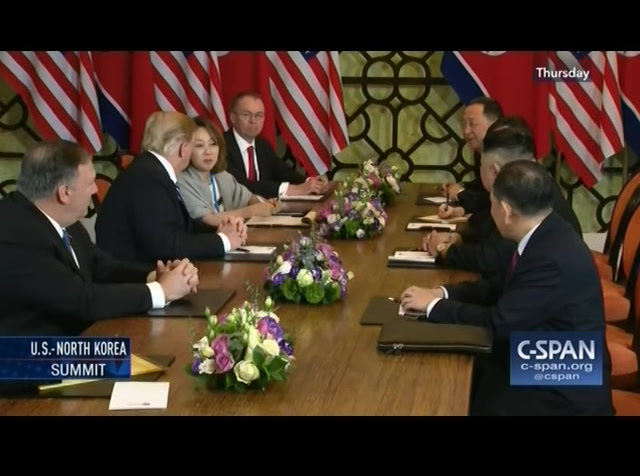 trump: we are discussing everything. i just want to thank everyone for being your. we are having very good discussions. we will see where it goes. yeah, i think we will. especially the testing. it's not a bad idea. [speaking foreign language] the last thing was something which was welcome. pres. trump: i think it's a good idea, both ways. >> [speaking foreign language] usif you would kindly give more time -- one minute, even one minute longer. thank you. pres. trump: thank you. thank you very much. 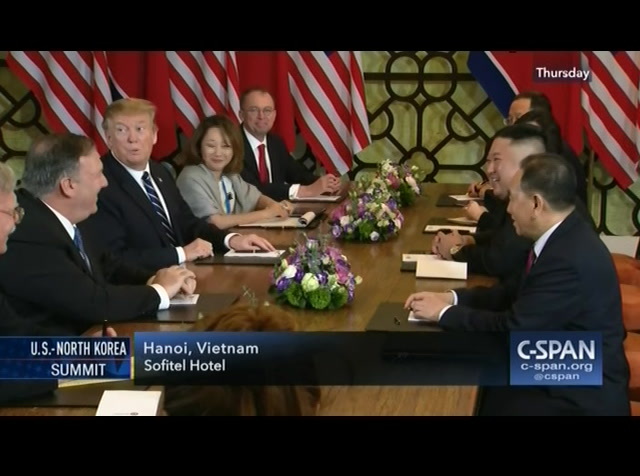 President Trump and North Korean Leader Kim Jong Un met for an expanded bilateral meeting during day two of the U.S.-North Korea summit in Hanoi, Vietnam. Also in attendance at this meeting were Secretary of State MIke Pompeo, Acting White House Chief of Staff Mick Mulvaney and National Security Adviser John Bolton. 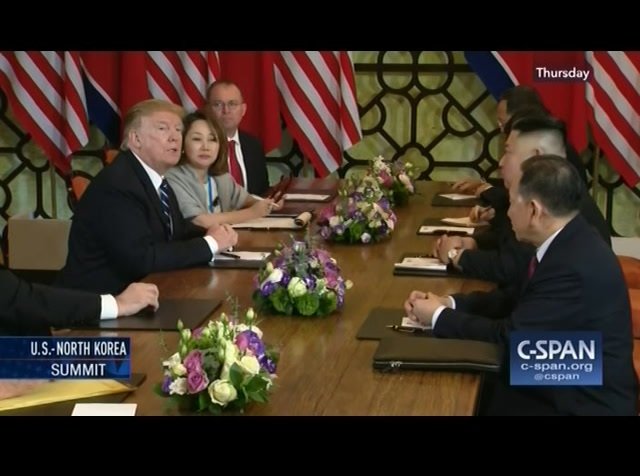 When a reporter asked Chairman Kim if he was ready to denuclearize, he said, "if I'm not willing to do that, I won't be here right now."